The PASHA Team Recently Purchased an A-scan machine, which can be used for appropriately assigning patients the proper intraocular lesns after cataract surgery. On a recent visit to Tajikistan, PASHA’s expert ophthalmologist, Dr. Mehdi Ghajar helped set up this machine in Dushanbe at Karbolo Hospital, where it is being used for cataract surgery. Dr. Ghajar trained local ophthalmologists in the use of this equipment. 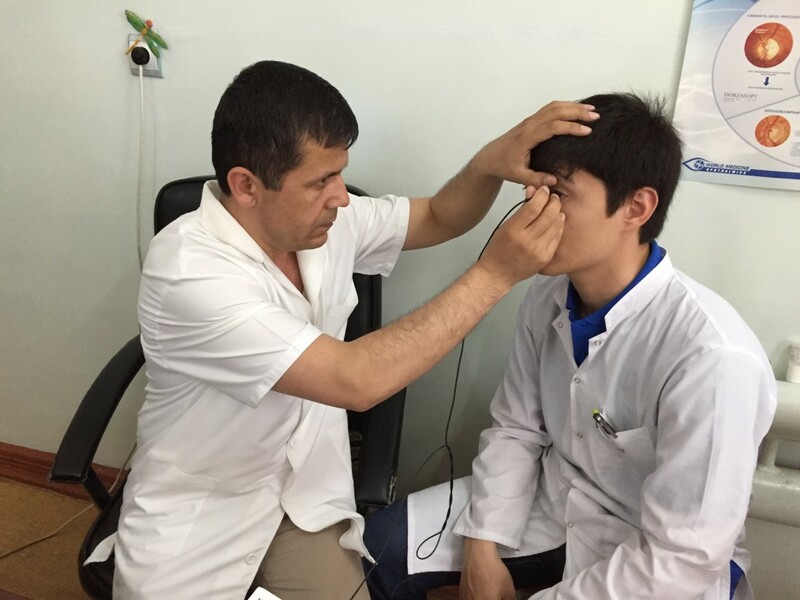 Please donate to PASHA to help us advance our efforts of providing training and supplies to Tajik eye surgeons.